First you need to get some patterned or coloured paper. 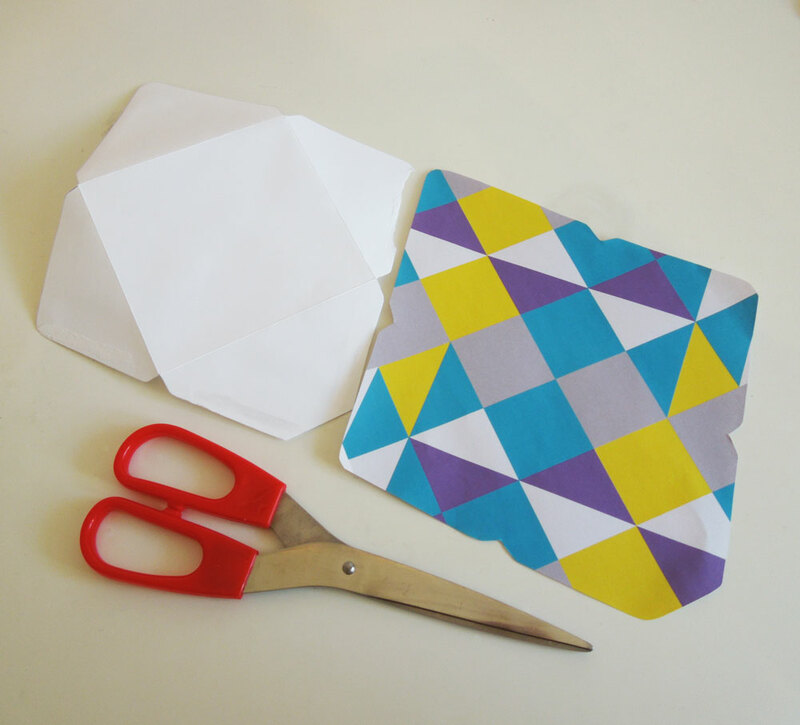 I’ve used some of my printable craft sheets which you can pick up over on Etsy. 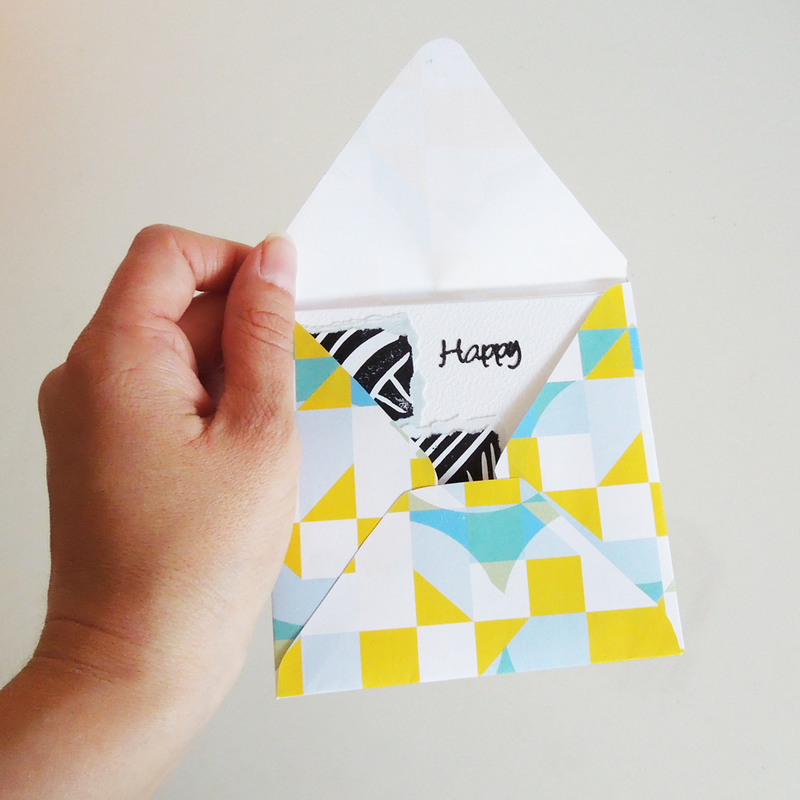 First open up an commercially made envelope, or download a template from the web (try All Crafts for free templates). 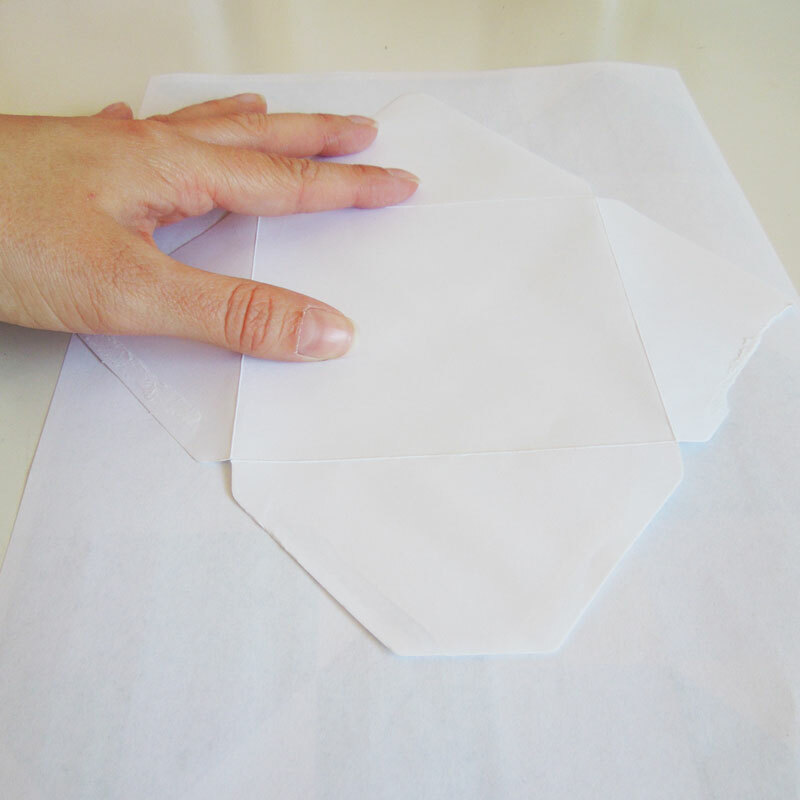 Place the envelope or template on the back of you paper. Trace round and cut out. Next fold along the edges according to when the fold lines are on the example envelope. Then glue the bottom flap shut using glue such as Pritt Stick. There you have it – it’s as simple as that! 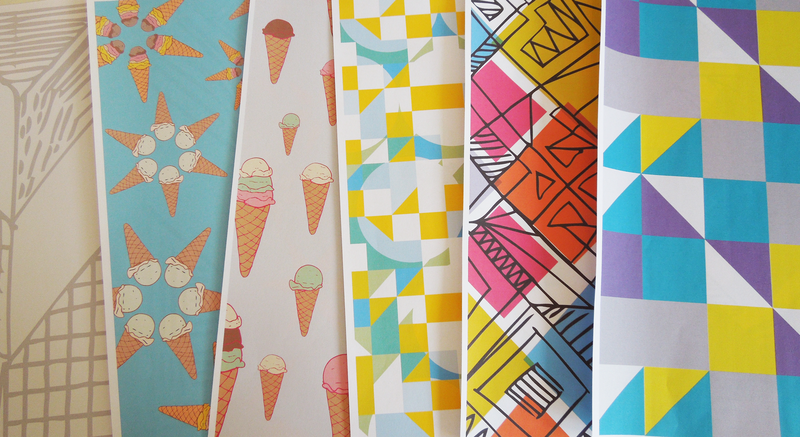 I got a bit carried away and made a whole load using the various papers I had designed. Pretty! These paper were from my printable paper packs. 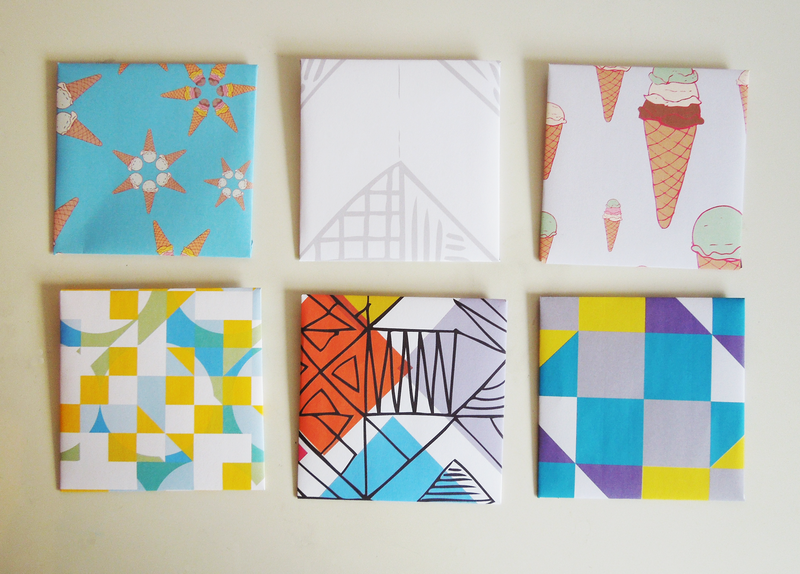 Find packs or printable papers in my Etsy shop. I love geometric prints. 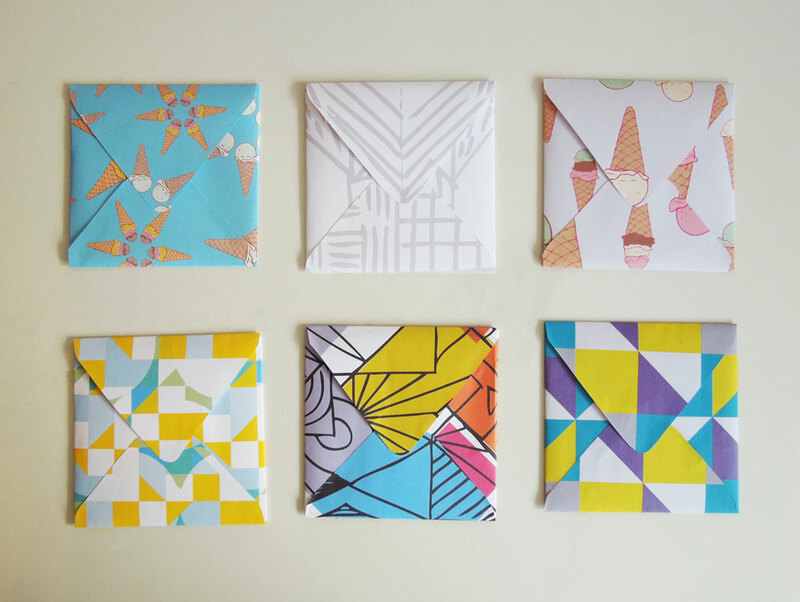 Great idea for envelopes!